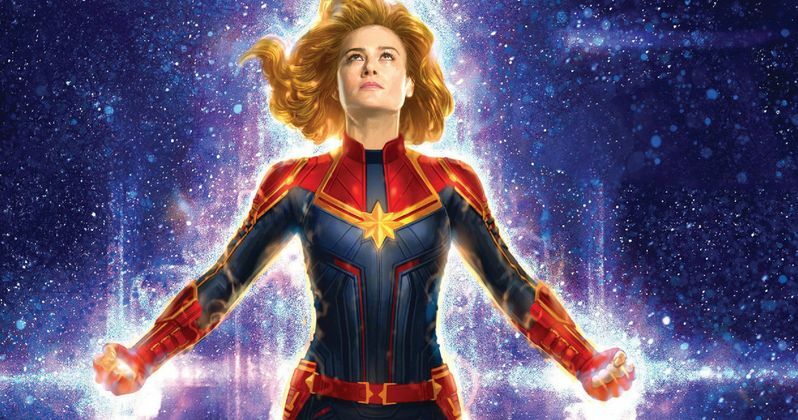 Captain Marvel is at the top of the box office yet again with an impressive $69.3 million domestic haul. This brings the Carol Danvers standalone movie to $760.2 million globally in just two weeks as it puts its sights on DC's Aquaman numbers. Marvel Studios' first female-led superhero movie is enjoying mostly positive reviews from fans and critics as the Marvel Cinematic Universe prepares for Avengers: Endgame, which hits theaters late next month and also stars Brie Larson. As far as the long game is considered, Captain Marvel will more than likely cross the $1 billion mark at the box office in the weeks to come, possibly slaying the recent impressive Aquaman numbers globally. As the movie continues to dominate at the box office, Brie Larson's name gets thrown around a lot more. The Academy Award winning actress is now one of the biggest and most recognizable stars in the world, thanks to her Marvel Cinematic Universe affiliation and even has an impressive wax figure at Madame Tussauds in New York. Animated family movie Wonder Park was able to score the second position this weekend with $16 million. The debut introduced a new type of theme park from the standpoint of a young girl's imagination. Another box office debut is Five Feet Apart, which was able to bring in $13.1 million. The teen romance, which introduces cystic fibrosis into the equation, easily doubled its production fees with its debut weekend, making for a success. How to Train Your Dragon: The Hidden World took the fourth spot at the box office this weekend after earning $9.3 million. The final movie in the trilogy has brought in over $466.5 million globally since its debut. Tyler Perry's A Madea Family Funeral took the fifth spot after bringing in $8 million. Globally, the family comedy has nearly taken in $60 million after being in theaters for three weeks now. No Manches Frida 2, another box office debut, takes the sixth spot this weekend with $3.8 million, while Captive State debuted with an unimpressive $3.1 million. However, the sci-fi movie has been getting good reviews. The LEGO Movie 2: The Second Part continues to fall after bringing in $2.1 million and taking the eighth spot. The sequel has not been the hit that the studio expected it to be upon its release in theaters six weeks ago. Closing out this weekend's top ten is Alita: Battle Angel and Green Book, which took the ninth and tenth spots, respectively after earning $1.9 million and $1.2 million. You can check out the rest of this weekend's numbers over at Box Office Mojo.